EU Law Analysis: ‘Wisdom and goodness to the vile seem vile’: Towards a third phase of the Common European Asylum System? ‘Wisdom and goodness to the vile seem vile’: Towards a third phase of the Common European Asylum System? 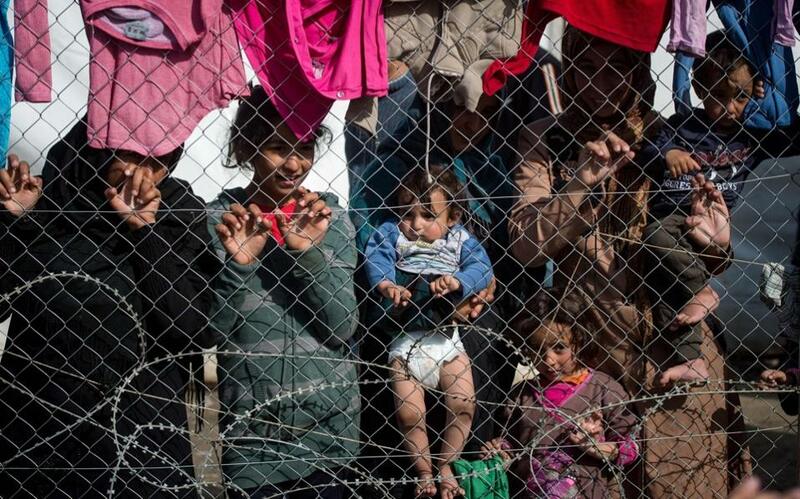 How to fix the EU’s troubled Common European Asylum Policy? The Commission has given its views today in the form of a discussion paper, with plans for further legislation. Will this fix the problems? The first phase of the EU’s Common European Asylum Policy was set in place in the form of legislation adopted over 2003-05. The second phase is based on legislation adopted between 2011-13. (For more details, see volume 3 of the Commentary on EU Immigration and Asylum Law, which I co-authored). Today’s communication effectively outlines the plans for a third phase – without actually using that phrase. It examines many facets of EU asylum policy, and also mentions immigration policy. I’ll look at the announced plans in turn. It’s worth making two general points at the outset. First, the UK is bound by the first-phase asylum laws, but not by the second-phase laws, other than the Dublin rules, Eurodac, and the law setting up the European Asylum Support Agency. It can opt out of any of the third-phase laws, but if it opts out of new laws amending those laws which it’s already bound by, the EU Council could decide to end the UK’s participation in those laws, on condition that operating a different system for the UK is effectively impossible. (Ireland is in broadly the same position). While it’s sometimes asserted that ‘the EU court controls UK asylum laws’, the UK chose to opt into those first-phase laws, and used its veto to ensure that they were consistent with existing UK law. The only British cases on asylum which have ever reached the EU court have been about the Dublin system. And eventual access to citizenship of a Member State by asylum-seekers is far harder to obtain than some imagine it to be. Secondly, any proposals the Commission makes will have to be approved by a qualified majority of participating Member States (in the EU Council) and by the European Parliament. Obviously there’s no guarantee of obtaining either in this controversial area. The discussion paper devotes the most space to the plans to reform the EU’s Dublin system, currently set out in the Dublin III Regulation. The principal problem with this Regulation is its allocation of responsibility in most cases to the first EU state which the asylum-seeker entered. With its declining economy and a sharp increase in the number of asylum-seekers, Greece cannot handle this burden. Although the EU has already tried to address this problem, in the form of two Decisions relocating some asylum-seekers away from Italy and Greece (discussed here), this has not worked well in the absence of Member State willingness to apply the system: barely 1,000 of the promised 160,000 have been relocated. In addition, the second Decision has been challenged by two cases in the EU Court (see discussion here of one of these cases). How to address this? The Commission suggests two options: a sort of compensation system that would kick in once a Member State had particular burdens, or a quota system reallocating all asylum-seekers across the EU. The former option is based on the current relocation decisions; it should be noted that the Commission already proposed amendments to the Dublin rules along these lines last September, but there seems to be little interest in this proposal. There could be adjustments to the current Dublin rules (so that responsibility would no longer cease due to lapse of time), and the relocation rules (so that more categories of asylum-seekers were covered, not just those with a 75%+ acceptance rate). The second option would allocate all asylum-seekers in principle between Member States based on standard rules, with exceptions where there are family links for instance. Where the EU has designated a ‘safe’ country, though, the first Member State of entry would remain responsible, for the sake of efficiency. Obviously the intention here is to keep in place the new rules which aim to return people from Greece to Turkey quickly. Either way, the Commission suggests possibly repealing the EU’s temporary protection Directive, a law designed to deal with mass influxes that has never actually been invoked to deal with any of them. (On its possible use to deal with the current crisis, see discussion here). The Commission plans changes to the Eurodac Regulation, which currently requires taking and storing fingerprints of all asylum-seekers and irregular border crossers, mainly for the purpose of checking at a later stage if they have already applied for asylum or where they originally entered (for the purpose of applying the Dublin rules). Currently the database allows police access as well as checking of irregular migrants (separately from the asylum procedure). The Commission plans to make proposals for changes to match the changes to the Dublin rules as well as to make much more use of the system for migration control. This will parallel the smart borders proposals for an entry-exit system (also made today). The intention is to replace the current Directive with a Regulation, setting out ‘comprehensive harmonisation’ and a genuinely ‘common procedure’, which would ‘reduce incentives to move to and within the EU’. There would be new rules on ‘key aspects of the asylum procedure’ which are currently optional, as regards admissibility (ie whether the asylum-seeker had, or should have sought, protection in a non-EU country), ‘the use of border and accelerated procedures’, the treatment of repeat applications, ‘and the right to remain in the territory’ during applications and appeals. This would harmonise the length of the initial application process and the appeals (the second-phase Directive already has common rules on the former issue, although not for the fast-track version of it). On this point the Commission is particularly keen to harmonise ‘safe country’ rules, both as regards ‘safe country of origin’ (ie is the asylum-seeker safe in her own country?) and ‘safe third country’ rules (should he have applied for asylum elsewhere?). On the first aspect, the Commission wants the EP and Council to agree the proposal it made back in September 2015 for a partly common list (designating the Western Balkans and Turkey as ‘safe’: discussed here). But neither institution has rushed to adopt the Commission proposal. The intention is for more harmonisation relating to countries where many applicants come from. But as I pointed out in my previous analysis this proposal wrongly includes Turkey – despite its dubious human rights record – for cynical political reasons, and does not provide enough safeguards for those who claim may be genuine. The Commission also wants to harmonise the use of the ‘safe third’ country concept, and set up a process of defining a common list in future. This would avoid awkward problems where differences between Member States divert flows of asylum-seekers or cause a ‘protection lottery’ with divergent decisions for similar cases. But it remains to be seen how these standards are applied. Given that (as discussed here) the Commission and Member States support the absurd designation of Turkey as a ‘safe third country’ – despite its non-application of the Geneva Convention to most asylum-seekers and evidence of refoulement, unsafe treatment, and low standards – the prospect of further moves in this direction are unappealing. The Commission has been carrying out an evaluation of the qualification Directive (which defines the concept of ‘refugee’ and ‘subsidiary protection’ status, and the rights which each group receive, but there is no mention of that here. The main concerns of the paper are twofold: further harmonisation of the rights received, including ‘differentiation’ of the two types of status, as subsidiary protection is ‘inherently more temporary’. This contradicts the second-phase Directive, which accepted that subsidiary protection was often not temporary and harmonised the two forms of status in most respects: see discussion of the first EU court judgment here. Secondly, protection will be granted ‘only for so long as they need it’. This means that the Directive will be replaced by a Regulation, and the intention seems to be harmonisation downwards: ‘to reduce both undue pull factors and secondary movements’. There will be a ‘regular check’ to see if protection can justifiably be taken away, although this is consistent with the Geneva Convention, which refers to ‘cessation’ of refugee status when circumstances change in the country of origin. There will be standard rules on identity documents (although note that the Geneva Convention has already provided for a standard travel document for refugees). In the long term, there could be mutual recognition of decisions and a transfer of protection (on the latter issue, see my earlier paper). This reflects the Treaty obligation to create a status ‘valid through the Union’ – although the Commission cannot bring itself to refer to this concept. The Commission plans ‘targeted’ amendments to the reception conditions Directive, which governs the day-to-day life of asylum-seekers outside the procedural aspects of their asylum claim. There’s no detail of these plans but the intention is to ‘reduce incentives to move to Europe’ and within the EU, while still ensuring ‘humane’ treatment. As evident already, a main purpose of the paper is to stop asylum-seekers moving within the EU – a reversal of the usual logic of EU legislation. The paper elaborates further on this, referring to ‘proportionate sanctions’ for those who leave the responsible Member State. This will entail an obligation to send back the asylum-seeker to the responsible State (does that mean the options to consider the application in the Dublin Reg will be dropped? ), a fast-track examination procedure without an automatic right to remain during the appeal, detention or restriction of movement, removal of benefits (overturning the judgment in CIMADE and GISTI on this point), and reduced credibility of the claim, on the basis of ‘existing provisions in the acquis’ dealing with last-minute applications. There will also be punishments for those who move without authorisation after obtaining refugee or subsidiary protection status, including a ‘status review’, and the five-year waiting period to obtain long-term residence status will be restarted every time they do so. There will be a common document issued to asylum-seekers, making clear that they cannot leave the responsible Member State except for ‘serious humanitarian reasons’. Currently this EU agency has a modest role supporting national asylum decision-makers. The Commission wants to enlarge its role, allowing it to evaluate Member States’ compliance with asylum standards, and suggesting changes they should make in national practice. If there were no compliance, the Agency could provide ‘enhanced support’, and there would be ‘measures’ to prevent ‘any incentive for Member States or asylum seekers not to respect the rules’. In particular, the Commission would have the power to decide on ‘operational measures’ to be taken by a Member State where the Agency found a breach of asylum standards, as regards case-handling and reception support, linked to the parallel actions by the EU Border Guard. (Obviously the drafters of the paper are thinking of Greece here). The Agency would also have the power to offer detailed guidance (as it does occasionally already) on the substance of asylum law, with a reporting mechanism and case-auditing. The Agency would also have a key role assessing whether third countries are ‘safe’, giving its opinions to the Commission on this point. It will also operate the revised Dublin system, on the basis of criteria not leaving it any discretion (it’s not possible to give EU agencies discretionary policy-making powers, according to the EU court). Finally, the agency would have a reserve of national experts it could call on, and extra financial resources, linked to the new money for humanitarian assistance within the EU. In the longer term, the Agency could be given the role of making first-instance decisions in place of national authorities, although the Commission realistically acknowledges that this prospect is on the far horizon. Indeed, that horizon is darkened by flocks of low-flying pigs. While much of the paper is focussed on getting the Dublin system to work, this is balanced somewhat by discussion of safe routes for entry. First of all, this refers to existing ‘soft law’: a general recommendation on resettlement (which means the movement of people from non-EU countries to the EU), and the controversial 1:1 deal between Turkey and the EU, in effect ‘trading’ resettlement places for readmission of non-Turkish refugees from the EU (discussed here). The Commission will build on this to propose (as promised before) EU legislation on resettlement, which will set out a ‘common approach to safe and legal arrival in the EU’ for people who need protection. There will be general rules, addressing admission and distribution, the status of resettled persons, financial support, and punishment for secondary movements between Member States. These general rules will then be applied in individual cases as regards specific countries or groups of people. For specific countries, resettlement might only be offered on a quid pro quo basis, related to readmission: this echoes the controversial 1:1 deal with Turkey. It should be noted that readmission treaty negotiations are about to start between the EU and Jordan, which is another major host country for Syrian refugees. The paper also talks about other safe legal routes for entry. Existing laws on admission of workers, students and researchers should be made accessible to refugees, although the Commission makes no commitment as regards EU legislation dealing with that issue. Private sponsorship should be encouraged by developing EU ‘best practice’. The Commission also promises to look at the issue of humanitarian permits. The most obvious way to do this in the near future is by including provisions in the EU visa code, which is currently being amended – as I have previously advocated and as supported by the European Parliament. The Commission argues in general that the EU needs more legal migration for economic and demographic reasons. It suggests several means to this end. First of all, it plans to amend the EU’s Blue Card Directive on highly skilled workers, to encourage admission and make this law (which has had limited success) more attractive. (On the Directive in practice, and possible reforms, see my discussion here). Secondly, the Commission might make a proposal for an EU law on admission of entrepreneurs. Next, it will consider a proposal on admission of service providers from non-EU countries. It will also review the effectiveness of other existing EU legislation on labour migration, in particular in order to prevent exploitation of workers. Finally, the paper includes some general words about cooperation with third countries. Today’s paper seems entirely focussed on the feasibility of the Dublin system, with all other aspects of asylum law subsumed to supporting that objective. Never in the course of human history has such a small tail wagged such a big dog. The implication (only hinted at once) is that Dublin must be saved so that Schengen can be saved. At no point does the Commission ask itself whether Dublin can be saved – or whether Schengen should be. The problem is that it is hard to see how Dublin could be made to work, especially now that large increases in migration flows have made its malfunctioning a huge political issue. Allowing asylum-seekers to leave Greece and Italy in large numbers for other Member States is politically unacceptable for those other Member States, and has led to internal border checks being reimposed and the construction of new walls across the continent. Insisting that Greece – its economy impoverished by a combination of poor domestic and Eurozone governance – should bear the burden alone is untenable, and both the EU court and European Human Rights court ruled that Greek asylum standards were insufficient even before the twin economic and migration crises took full effect. The reasonable attempt to reduce the Greek burden a little by means of the relocation Decisions has been ineffective. It’s hard to see how a slightly different version of the relocation system can be made to work either. And why would the Member States collaborate in a fully-fledged quota system, which they are likely to find even less attractive than the relocation rules? All this explains the recent EU turn towards a ‘Plan B’: simply returning most or all those who reach Greece straight back to Turkey. Time will tell soon enough how workable this alternative is: it may also prove unfeasible if people switch to different routes, are not deterred from arriving, or successfully challenge the legality of the deal. Certainly, the Commission’s assumption is that enough people will still arrive to cause a political problem. So the most important elements of today’s paper are the twofold intention to punish secondary movements and to deter people from coming at all. (I won’t comment on the legal migration part, which simply reiterates existing plans). It’s clearer how the Commission would like to punish secondary movements. The plans here resemble nothing more closely than a liberal parent who has finally lost his patience with his misbehaving children, resulting in a disproportionate authoritarian overreaction. Some of the plans are legally questionable: for instance, the CIMADE and GISTI judgment (ruling that asylum-seekers should retain benefits even if they are the responsibility of another Member State under the Dublin system) was based partly on the EU Charter. A legislative amendment overturning it might therefore be challenged as a breach of the Charter. So might new rules on detention (cf the recent CJEU judgment on challenges to existing detention rules). Sensible parents use carrots as well as sticks. Why not offer asylum-seekers a modest cash bonus in kind if they accept allocation to a Member State under the relocation rules? Or let them have earlier access to work if they stick to the rules? Or simplified and quicker long-term residence status? Yet its response is, in its own way, as irrational as his. But Lear did not have to contemplate convincing the European Parliament, EU Member States or the courts of his unformed plans. So there are political, legal and practical limits to what the Commission can successfully propose. Member States will be reluctant, as ever, to curtail much of their significant remaining discretion over asylum procedures. The European Parliament will probably not rush to roll back the improved standards which it spent five years fighting for. Anyway, the underlying logic of the Commission’s argument is doubtful. If high asylum standards in the EU are such a pull factor, why are there so many more refugees in Turkey, Jordan, Lebanon, and East Africa? Won’t a sharper difference between refugee and subsidiary protection status encourage more appeals and secondary movements too? The only semblance of balance in the Commission’s paper is its focus on safe passage. But it’s spent two years resisting safe passage in the context of the reform of the EU visa code, using the weak argument that humanitarian visas are not meant for short-term entry. But they fall within the scope of the rules on visas with ‘limited territorial validity’, where the normal rules on visas (such as the time limit) are expressly disapplied. The mention of humanitarian permits in this paper now looks like an excuse to defer dealing with the issue. Similarly, the EU could and should have developed a proper resettlement policy years ago. There’s still no mention of any numbers in this context: compare to the recent suggestions from the UNHCR. And expecting a quid pro quo for the humanitarian gesture of resettlement doesn’t get any less cynical with repetition. Overall, this is a very disappointing paper from the Commission. There are certainly abuses of the asylum system, but EU legislation already has many possibilities to address them, as regards fast-tracking decisions and appeals, reduced benefits and detention. There’s little evidence here of a balanced, rational and coherent response to the crisis. In fact, this looks rather more like panic. Of course EU asylum law does not develop in a political vacuum. Member States had a key role agreeing these laws, and the main role implementing them and driving the reaction to the crisis. No criticism of the ‘EU response to the crisis’ should ignore what is ultimately driving that response: the neo-nationalist political parties which are in government in several Member States and form the main opposition in several more. But is endless concessions to these parties really the right strategy? They will always be able to outflank the political mainstream when it comes to anger, fear and ignorance. It’s always better to stand and fight for what you really believe in than to pretend to agree with your opponents’ fundamentally different views. *Disclaimer: I have been an independent consultant on the impact assessment relating to the reform of the Dublin system and the Blue Card Directive, and the evaluation of the qualification Directive. This does not restrict me from giving my own views on the Commission’s plans. Speaking as a parent.. reach for an incentive! Why can't the EU change the rules if necessary to restrict club benefits to member states that don't pull their weight with refugees (eg Hungary)?